NEW YORK (AP) Henrik Lundqvist stopped 36 shots to lead the New York Rangers over the Los Angeles Kings 3-2 on Monday night. Brandon Pirri, Matt Puempel and Mats Zuccarello scored to help New York win its third straight since a three-game skid. Jordan Nolan and Kyle Clifford scored, and Jeff Zatkoff finished with 14 saves for Los Angeles, which has lost four straight and five of seven. Lundqvist has given up just four goals on 84 shots during the winning streak – including a 1-0 shutout at Detroit on Monday – after allowing 20 on 113 shots the previous four games. 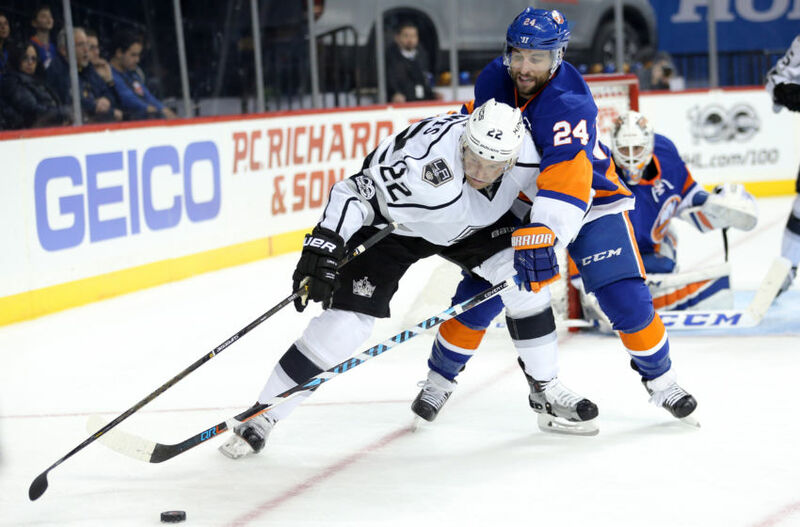 The veteran goalie needed to be at his best in this one as the Kings, who last played Saturday across town against the Islanders, seemed a step faster from the start and controlled play for most of the first two periods.